We are huge fans of halloween in this house - our children are of the age where they don't like to be scared too much but it's nice to have a little bit of lighthearted spooky fun. We were sent a couple of games from Megableu to play during our half term break at Sundrum Castle and were VERY excited to spend a rainy afternoon testing out these games in our caravan. 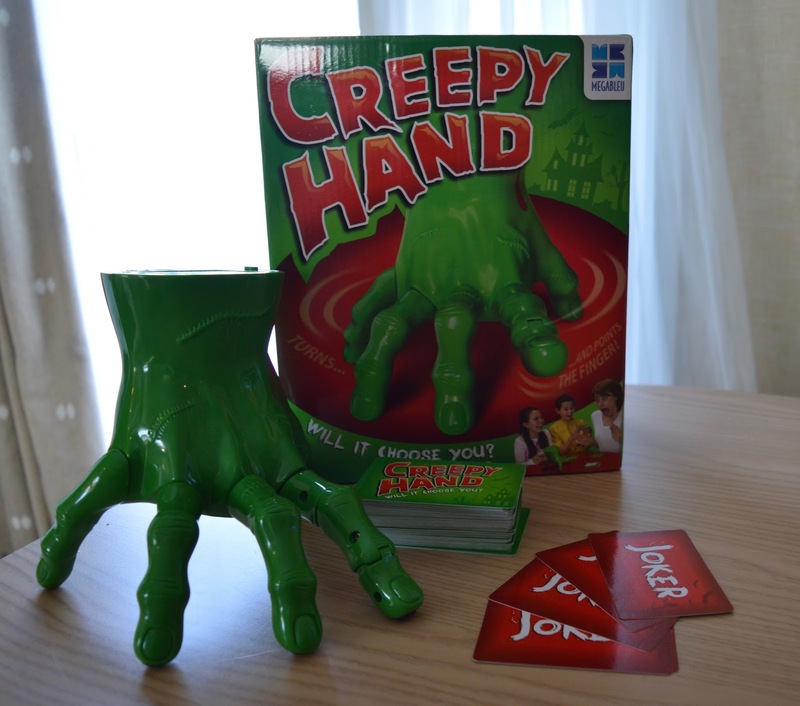 Creepy Hand is a tame version of truth or dare for the whole family with a twist. The gruesome hand has a mind of it's own and is placed in the middle of the table where it circles around before randomly pointing at one unlucky player. This game is aimed at children aged 7+ however we all thoroughly enjoyed it (our family ranges from ages 4-30+). 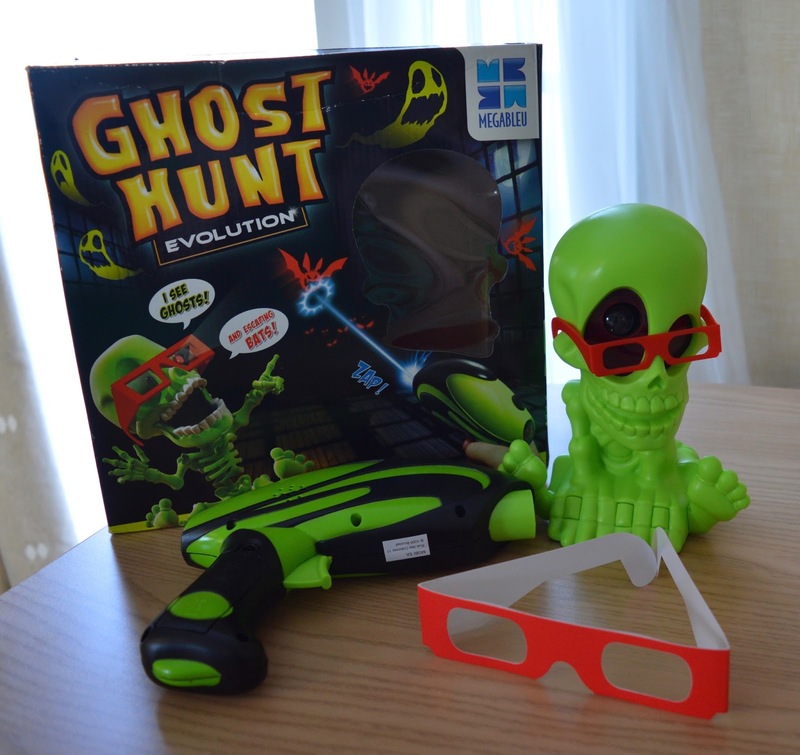 Ghost Hunt Evolution is a game that has to be played in the dark. Aimed at 1 or more players, it is suitable for ages 5+ (although my 4 year old loved it too). This game can get really competitive and is a nice game for the whole family to join in with. The creepy ghost skull (aka Billy Bones) sits in the middle of the room and spins his head (rather creepily) in all directions. Ghosts and Bats are projected from his eyes and players take it in turns to try and shoot them with their laser gun. The player with the highest score wins! This all sounds very easy but if you have a room with furniture or lots of surfaces it can be quite difficult. This all adds to the challenge of course! We loved these games and are sure they will provide lots of fun throughout the winter months. I think both games are a perfect alternative and provide more fun than traditional board games. I also like that these games are simple enough to be played without adult supervision yet are still fun when grown ups join in too. The games do use batteries and they aren't provided and will need replaced along the line so these costs do need to be taken into consideration.